Grand Wine & Liquor has been a family-owned New York institution since 1933, when the store opened under the leadership of Robert Battipaglia, an industrious immigrant from Naples, Italy. In search of the American dream, Robert laid the foundation for what has become a famed destination for seekers of wines and spirits to suit any occasion. 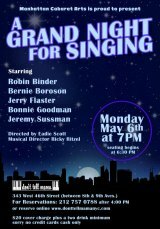 Through the efforts of successive generations of dedicated family members, Robert Battipaglia's dream has been realized, and Grand continues to thrive decades after opening for business. Serving casual drinkers and connoisseurs alike, the staff at Grand is thrilled to help you find the right items to pair with whatever is on your menu, whether you're embarking on a culinary adventure, celebrating with friends and family, or looking for a glass of something delightful to complement your evening with Netflix. Offering an extensive, carefully curated selection of wines and spirits at incredible prices, the staff at Grand Wine & Liquor is dedicated to thoughtful service centered on sharing expertise and listening to your feedback. The Grand team is passionate about the products they sell and the culture of conviviality that surrounds them, and this passion translates to an unmatched customer experience in which your satisfaction is valued above all else. The store's convenient Astoria location puts Grand in a unique position to serve the Roosevelt Island community. 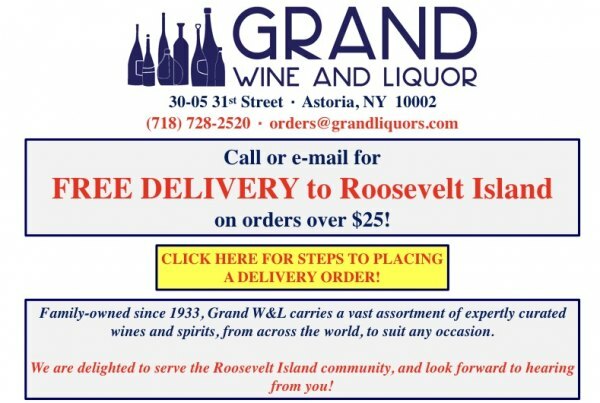 With a history of delivering fine wines and spirits to Roosevelt Island, Grand looks forward to a continued relationship with the people of this wonderful, storied community.